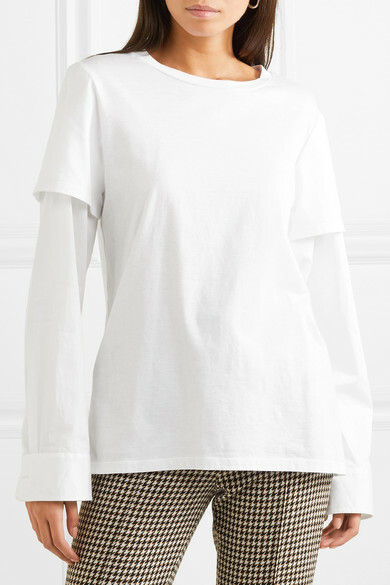 Maggie Marilyn's 'Nothing to Prove' top does all the styling for you - it's designed to look like a simple white tee layered over a shirt, but it's actually just a single piece. 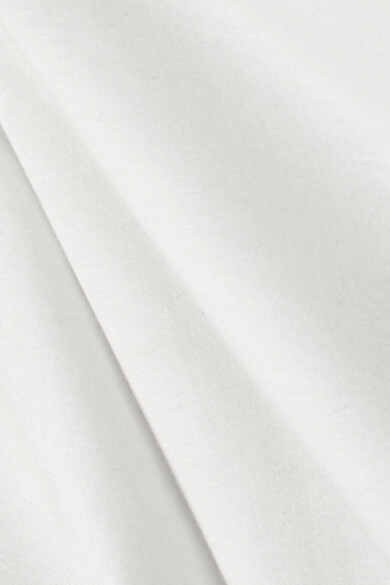 It's cut from 100% organic cotton-jersey certified by the Global Organic Textile Standard. 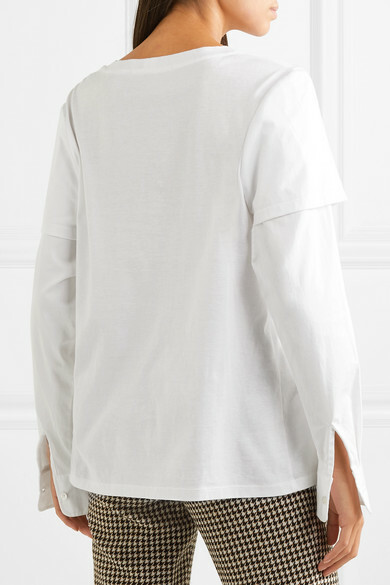 Though it has crisp sleeves, there's no collar so the overall look is still really laid-back and effortless. Team yours with tailored pants and sandals. 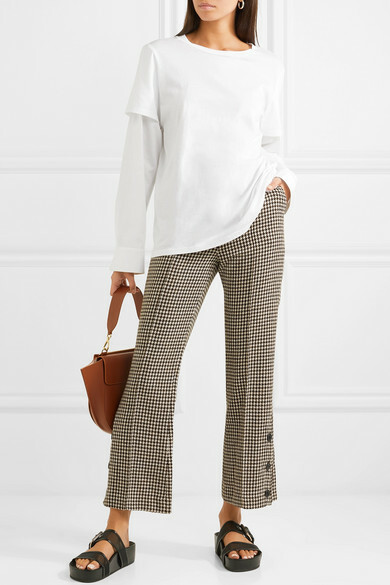 Shown here with: Rokh Pants, Wandler Shoulder bag, rag & bone Sandals, Sophie Buhai Earrings.